​Overwatch fans are always desperate for more lore. Specifically, that means complete backstories for their favorite heroes and more clarity when it comes to the Overwatch historical timeline and how each character is involved with other characters. This yearning stems from how well the characters and stories have been developed within Overwatch by the writers and designers. Blizzard has a long history of giving its games volumes upon volumes of lore, including in-game story campaigns and actual books. Overwatch has differed in that status quo, though. Since the game's release in May 2016, Overwatch fans have been given digital comics, cinematic shorts, lore-based in-game events, short infographics, and tidbits of information here and there. As a whole, that is a lot of information, but it's not enough -- and spacing these glimpses out effectively makes them all teasers. ​​Every hero has a base bio and a short background story, but it's not enough. Overwatch fans know the history behind Overwatch and are mostly aware of what each character is doing in the present-day Overwatch timeline, but it's still too little. Whenever a new hero is introduced, we get more lore, but only just a taste. Sometimes things are found in game that spark rumors or canon, which are ​occasionally addressed by a member of the Overwatch team. Sometimes, in the case of D.Va, ​information we thought was true turned out to be false. Sometimes the Overwatch team will have fun with us and implement hints and puzzles for us to figure out, ​like in the case of Sombra. My Wife: what do you want for Christmas? ​​We crave lore so desperately because we genuinely love the characters and are invested in their stories. Knowing more lore would allow us to feel closer to the characters for whom we've come to care. Overwatch fans care about these heroes not only because their stories are well written and interesting, but because the cast is so diverse, and you'd be hard-pressed not to find at least one hero with which you have something in common. Overwatch heroes come from all walks of life, and some represent wildly under-represented minorities in the gaming world and even pop culture. If we can see ourselves in these popular characters, we naturally want to know more. Ppl who are into Overwatch for the game: Oh cool new character! Ultimately, the Overwatch team knows what it's doing and certainly isn't keeping info from us to drive us crazy. Overwatch is still a young game and has plenty of time to flesh out the world it has created for us. 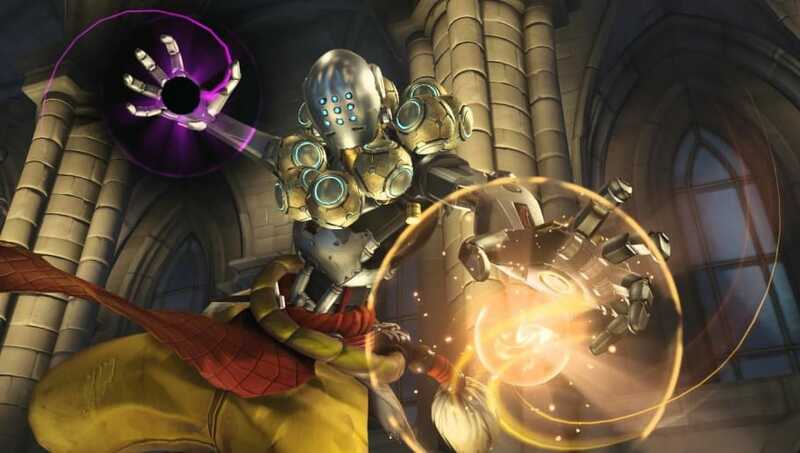 Although it's maddening, you have to admit that part of the allure of Overwatch is the mystery behind so many things and the urgency to find out everything we don't know. All that said, however, some Zenyatta lore would be wonderful, thank you.